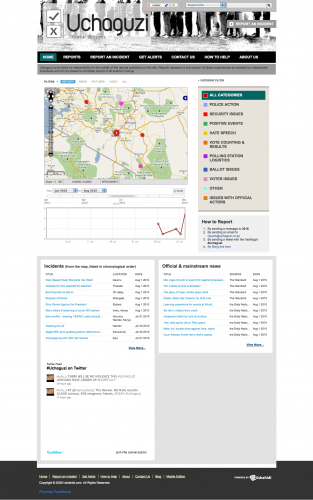 The Ushahidi platform was born out of the 2007-2008 post-election violence. While the organizational mission is to keep improving the technology behind Ushahidi, the team is also invested in its continued use in Kenya. Because of this, Ushahidi has launched Uchaguzi.co.ke (which means "elections" in Swahili) with 3 Kenyan partner organizations to monitor the August 4th Constitutional Referendum vote. 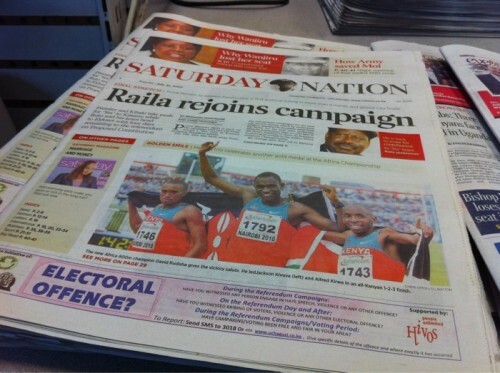 This Wednesday Kenyans will go to the polls to vote on a proposed Constitution. There has been active campaigning on both the "yes" and "no" sides of the debate. As the day grows closer, so do security concerns. Kenyans are remembering the conflicts of January 2008 when many Kenyans were killed and half a million displaced and, even more recently, on June 13th of this year when 6 people were killed by grenade blasts at a “NO” Rally in Nairobi’s central Uruhu Park. 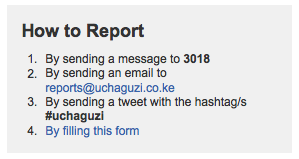 Like with the original Ushahidi deployment, Uchaguzi provides an outlet for participation for citizens and civil society to report on electoral offenses such as intimidation, hate speech, vote buying, electoral offenses, misinformation, as well as alert authorities to raising tensions and acts of violence. Through Uchaguzi’s partnerships, reports will be sent to response actors on ground including the electoral authorities, security personnel and community-based peace organizations. 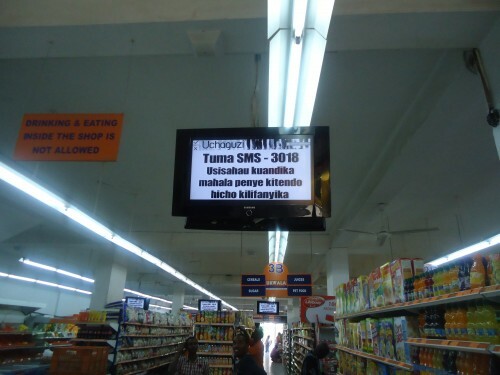 There have been newspaper ads, radio and in-store displays about the 3018 shortcode and Uchaguzi as the place to submit information in about the vote. [caption id="attachment_2433" align="aligncenter" width="500" caption="Uchaguzi newspaper advertisement"] [/caption] [caption id="attachment_2432" align="aligncenter" width="500" caption="Uchaguzi in-store display advertising"] [/caption] At this point it's hard to anticipate the number of reports that will be sent in via SMS (text) to the 3018 Uchaguzi short code, so we have recruited over 80 Kenya-based volunteers to translate, map and triage incoming SMS. Watch uchaguzi.co.ke on August 4th to see the Referendum unfold. Constitution & Reform Education Consortium (CRECO) has a mission is to promote constitutionalism, democratic governance and institutional development, through coordination and capacity building of the civil society. Ushahidi is a non-profit software development company. Our software is used for collecting, aggregating and visualizing information from communities around the world. The Social Development Network (SODNET) through its INFONET Programme that aims at strengthening the role of citizen's and civil society in the strategic use of technology. Uraia is Kenya's National Civic Education Programme, whose mission is to facilitate the provision of quality civic education and practical mechanisms for citizen engagement in public affairs. Uchaguzi is also made possible with the generous financial and in-kind support of HIVOS and Twaweza. A big thank you goes out to the NDI Kenya office and the World Bank for sharing of geographic data for use in this deployment.